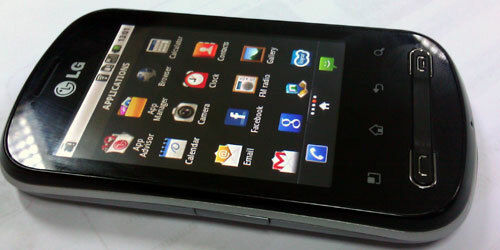 Hello friends, do you know about the LG Optimus Me P350 ? 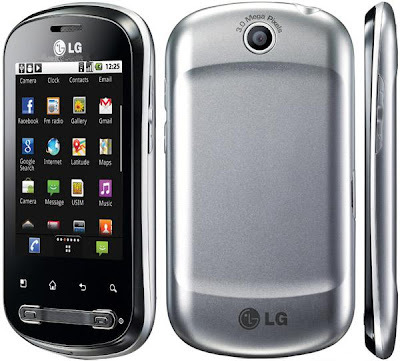 LG Optimus Me P350 is a smartphone that uses the Android operating system Android 2.2 Froyo. LG Optimus Me P350 is equipped with 600 MHz processor, 512MB RAM, 140MB of internal memory, support jaringa 3G HSDPA, Wi-Fi 802.11 b / g / n, FM radio, GPS, and microSD slot. For camera, LG Optimus Me P350 has a 3.15 MP camera.